Pometia pinnata is a botanical (latin) name of the Matoa fruit plant, included in the family sapindaceae, one family with Rambutan, Lychee and Longan. But unlike Rambutan, which tastes sweet and mixed with sweetness, the taste of Matoa is not sour at all, it's just sweet, like the fruit of Lengkeng or Leci. But even though the taste is just as sweet as Lengkeng, the texture of the Matoa fruit feels more tender, while Lengkeng feels chewy. In the routine journey of writers to the islands of Borneo, Sulawesi, Maluku and North Maluku, Papua and West Papua, Matoa fruit trees can be easily found in the region. Both in the forest and in community gardens and even in people's homes. 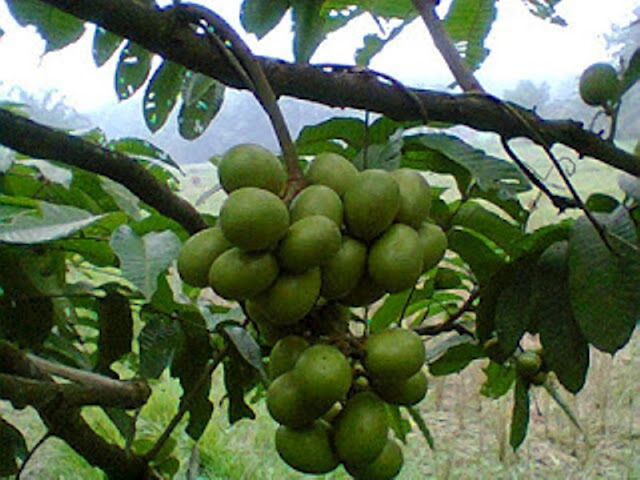 But for some reason, the Matoa fruit is very well known in the community (especially people on the island of Java), only the Matoa fruit originating from Papua, known as the Lengkeng Papua. 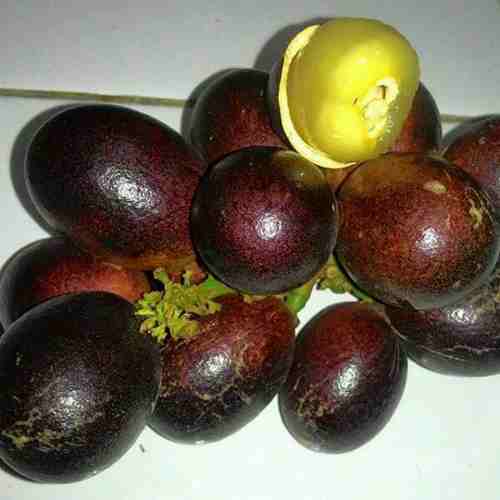 The famous Matoa fruits from Papua are Matoa Kelapa and Matoa Papeda. As the name implies Matoa Coconut is quite large with a fruit diameter of 3.0 - 3.5 cm, while Matoa Papeda is around 2.5 - 3.0 cm. Matoa Coconut fruit meat is thicker, thicker and drier compared to the soft and thin Matoa Papeda. Matoa Kelapa fruit is favored by consumers, although the price is more expensive than the price of Matoa Papeda. If you visit the city of Jayapura - Papua in December - January, you can easily find Matoa Kelapa and Matoa Papeda fruits sold in traditional markets and sold on the side of the road by local residents. The price offered varies between IDR 75,000.00 - IDR 90,000 per kg. According to local residents, the Matoa tree which has reached a height of about 10-12 meters and a diameter of 30-40 cm, can bear as much as 80-100 kg per tree. In fact, according to some circles, the Matoa tree with a height of 18-20 meters with a tree diameter of about 100 cm can produce Matoa fruit around 200 kg per tree. Indeed, Matoa is a member of the wilderness vegetation that is used by wood as a raw material for plywood and wood working industries. But now Matoa has been cultivated as a producer of fruit trees in various regions in the country. So it is not surprising that Matoa was then designated as the national superior fruit by the Minister of Agriculture through Decree of the Minister of Agriculture No. 160 / Kpts / SR.120 / 3/2006 concerning the Release of Matoa Papua as a Superior Variety. On the occasion of a trip to Jayapura - Papua at the end of 2017, the author bought about 3 kg of Matoa Kelapa as a souvenir for the family at home when the writer was about to return to Bogor (the city of residence of the current writer). After being consumed together, the seeds of Matoa are then mixed in polybags of around 100 polybags. It turns out it's not difficult and uncomplicated, Matoa seeds that are sown can grow well and are fertile. Therefore, 4 months later, Matoa seeds which had reached a height of about 30 cm, the authors shared with their neighbors and relatives in Bogor and in Bandung, and 20 of them were carried by relatives to be planted in the city of Majalengka. The author himself planted several Matoa seedlings from his own seedlings in Bogor. 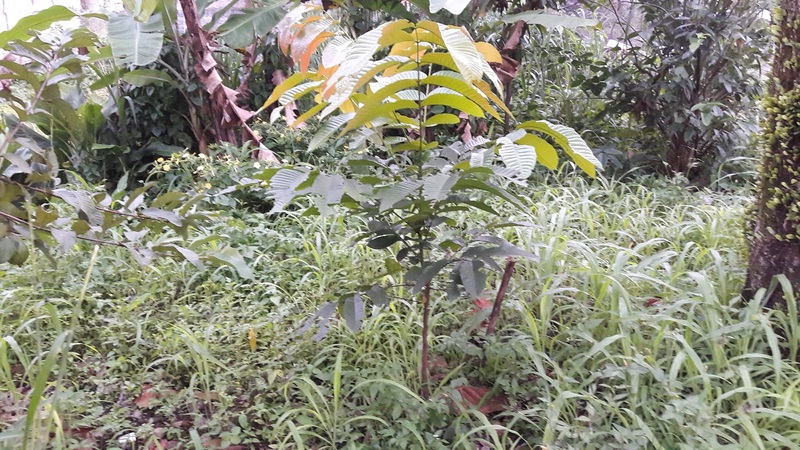 Matoa seeds from the seedlings planted around April 2018 in Bogor have now flourished with dense green leaves and have reached a height of about 70 cm. Of the seeds planted, the fruit of Matoa is expected to be around 4-5 years later. Matoa fruit has actually been cultivated in several regions on Java. Citing the magazine "Trubus" on its website http://www.trubus-online.co.id/panen-matoa-di-kaki-muria, that Pati Regency - Central Java is one of the centers of Matoa fruit production on the island of Java. According to "Trubus", the population of the Matoa tree in the district which is located at the foot of Mount Muria has reached thousands of trees, even around 4,500 trees have been aged 10-20 years. From one matoa tree over 10 years old, it can be harvested around 300 kg of fruit. The Matoa crop was then sold to several fruit suppliers and supermarkets in Kudus, Pati, Semarang, even Padang-West Sumatra, and Jakarta. Until now, Matoa fruit consumers are still limited to certain groups, especially the upper middle class, they sell it at well-known super market outlets, so it is not surprising if Matoa fruit is valued high, around IDR 50,000 - IDR 65,000.00 per kg . Red-skinned matoa is most favored by fruit suppliers and supermarkets because of its striking colors that attract consumers. Do you have land unemployed? Empty land? Instead of being left unproductive, there's nothing wrong with trying to plant Matoa. At the time after entering the fruiting period, at least you can taste and harvest it directly by picking it yourself. For commercial scale (planted), the usual spacing used is 8 x 12 meters. Thus, on an area of ​​1 hectare, Matoa seeds can be planted with around 100 sticks. With the productivity of fruits (mature trees) reaching (for example) 50-100 kg per tree, then how many harvests of Matoa fruit from your garden? How much Rupiah will you get from selling Matoa fruit from your garden? Hello, this is a great read. I am looking for Matoa seeds to grow in Africa.. my husband brought the fruits from Jakarta but we overwatered the seedling and the small plants died. Now I am looking for seeds to grow.